Zippo High Polish Chrome Spider Lighter | BUDK.com - Knives & Swords At The Lowest Prices! Don't be afraid of this creepy crawler! 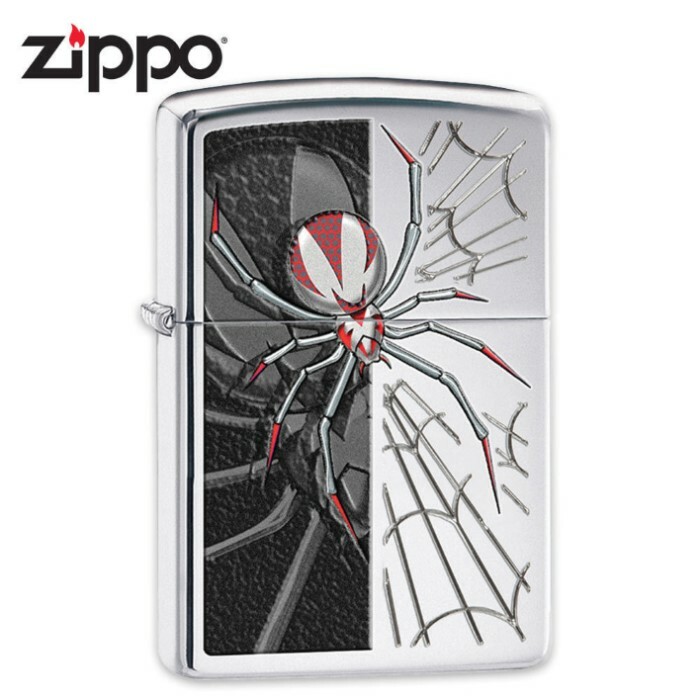 The red-legged spider lighter from Zippo features an auto engraved web design and full color details on the satin chrome case. This lighter provides legendary windproof performance, guaranteed on all Zippo lighters! Made in the U.S.A.